What happens when wild salmon interbreed with hatchery fish? A study by the Alaska Department of Fish and Game looking at chum and pink salmon runs in Southeast and Prince William Sound is expanding to help biologists understand the interplay between wild runs and hatchery strays. There is concern that hatchery fish could alter the genetics of wild populations, posing a threat to their survival. Homer-based Fish and Game biologists Glenn Hollowell and Ted Otis started tracking hatchery fish found in wild streams around Kachemak Bay in 2014. That was when Cook Inlet Aquaculture Association’s Tutka Bay Lagoon Hatchery reopened after several years. They wanted to examine how well the hatchery pinks homed back to the Kachemak Bay facility, but they found something strange: salmon from other hatcheries. The Prince William Sound pinks keep showing up each year, and just the idea that hatchery pinks could stray so far has heated up a dispute over the potential harm on wild runs – namely whether they could alter the genetics of wild populations in a way that would threaten their survival rate. That caught the attention Fish and Game’s top salmon geneticist Chris Habicht in Anchorage. His lab has processed thousands of samples of both wild and hatchery Prince William Sound pinks through the department’s Alaska Hatchery Research Project. At a recent Alaska Board of Fisheries meeting, he told KBBI that biologists are just starting to understand pink salmon’s genetic variation. “So one of the things we’re doing in the study is trying to understand how related populations are to each other, and in particular in Prince William Sound where there’s a big hatchery program, we’re trying to identify variation among populations,” Habicht said. The hatchery-wild research project found genetic variation in Prince William Sound: that means there are distinct populations. However, it’s unclear how much hatcheries are a factor. Habicht said pinks in Kodiak and upper Cook Inlet are distinctly different from both hatchery and wild Prince William Sound pinks. He’s hoping to explore that variation in his own smaller study. 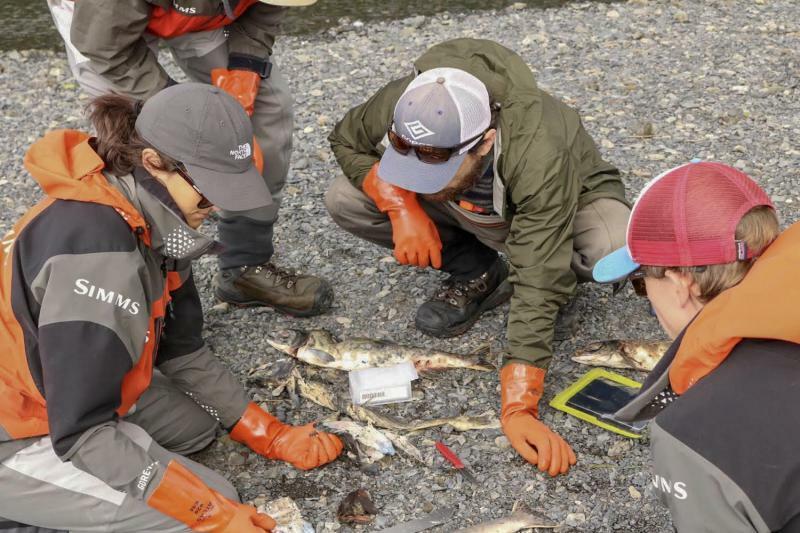 Habicht said the project still lacks the necessary funding it needs to fully assess whether Prince William Sound hatchery pinks straying into lower Cook Inlet streams could alter the genetics of wild stocks. But he’s still committed to the project. He plans to walk the banks of the Anchor River this summer, picking up dead specimens for further study. A drought declaration for parts of Southeast Alaska has expanded to include Sitka and Juneau, which means most of Alaska’s panhandle is officially in moderate to severe drought. Even though there's been weeks of beautiful blue skies. But fish hatcheries see a dark side to all this sunshine — diminishing water supplies.